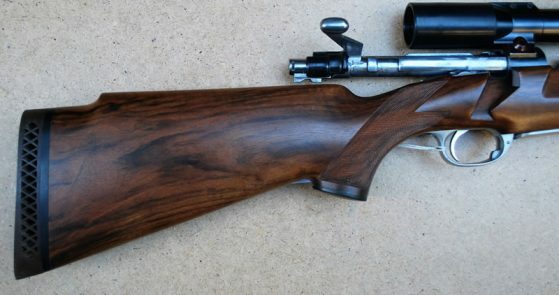 243 Bolt action Rifle from one of what many regard as amongst the 10 best rifle makers in the world, of all time ! All that said, 6 weeks after securing this a second Lloyd .243 was aquired with a serial number only two digits lower so any genuine buyer has their choice from two ! 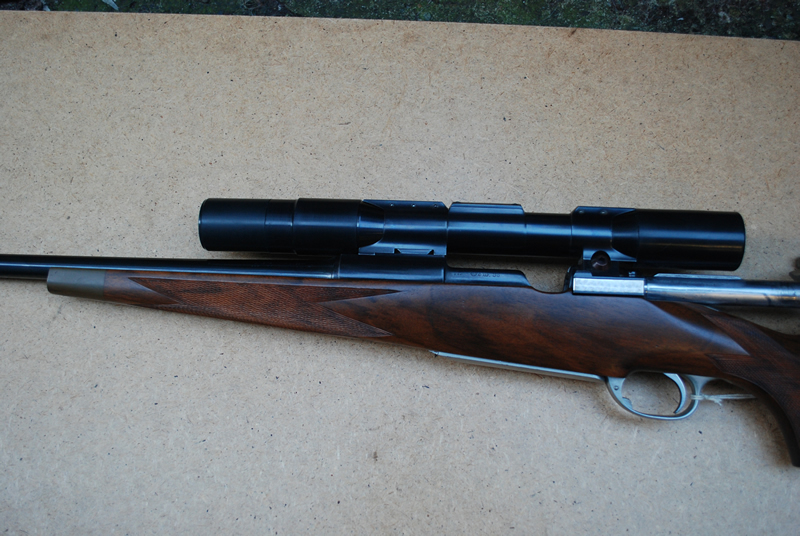 This is a slightly ‘ heavier build ‘ to rifle 261 with a bigger / fatter stock….to suit a bigger hand more than actual weight. 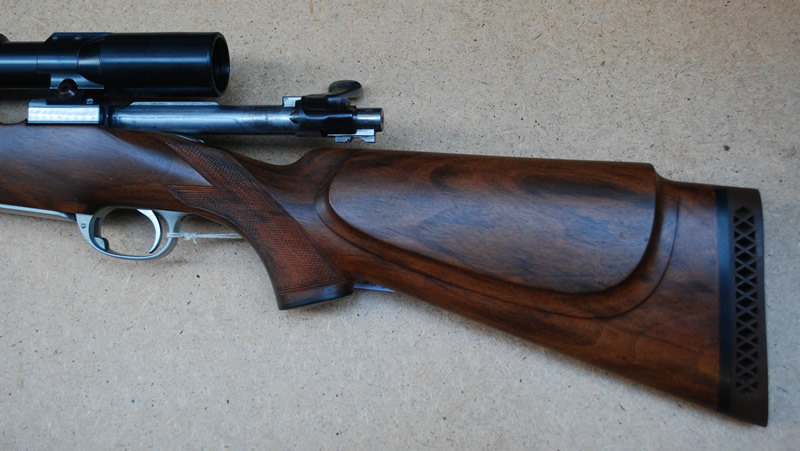 Comes complete with original S warovski 4x scope in patented Lloyd mounts etc.